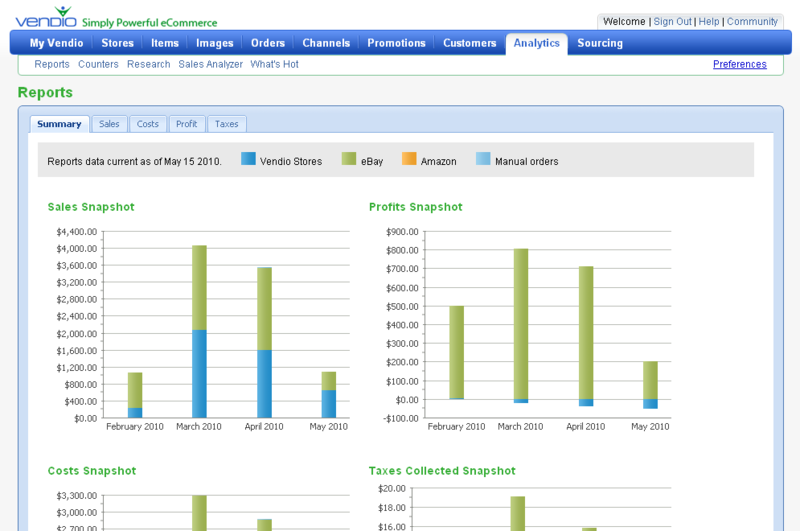 Vendio Reports provides all the crucial data and insights you need to monitor the performance of your online business. It tracks all of your transactions managed through the Vendio Platform, making it straightforward to identify which products, sales channels, and marketing strategies are making you money—and which ones aren't. Want to know how a sale or promotion is performing? Take a quick look at your reports dashboard, and you will know in a few seconds. Worried about the performance of individual products? No problem. Download detailed product level reports, and you will quickly discover which products are performing better or worse than expected. 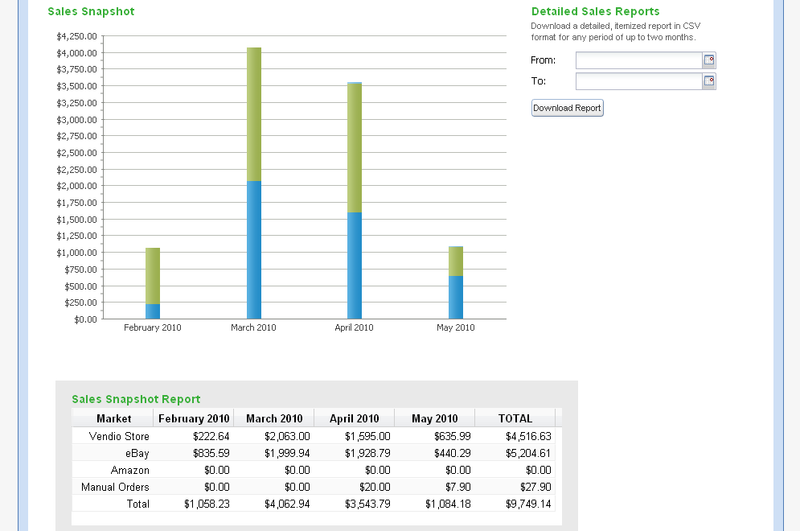 Get a snapshot of your sales, costs, profits, and taxes over days or months. Analyze transactions on eBay, Amazon, and your Vendio Store—all from one spot. Download detailed reports to drill down at the product level, by price, marketplace and more. See which marketing and marketplace strategies make you the most money.